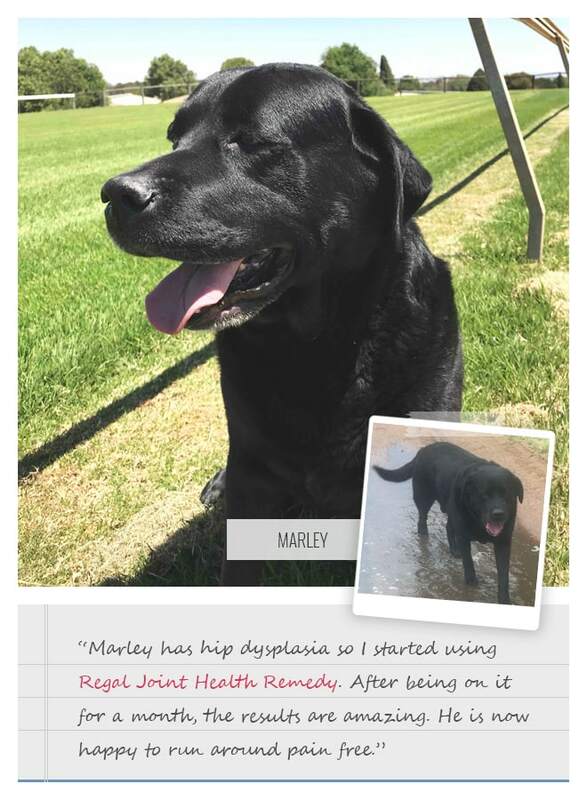 I had started using Regal Health Joint Support Remedy a month ago for my black Labrador. I have attached two photos of him. This medicine has not been evaluated by the Medicines Control Council. This medicine is not intended to diagnose, treat, cure or prevent any disease. Information on this site is purely for education purposes. Please consult with your vet should symptoms persist. Do not make any changes to your pet’s medication without consulting with your vet first. © 2017 Regal. All Rights Reserved.